My pores are the biggest skin concern that I have so I am always on the lookout for products that will help to clean, clear, and diminish them. 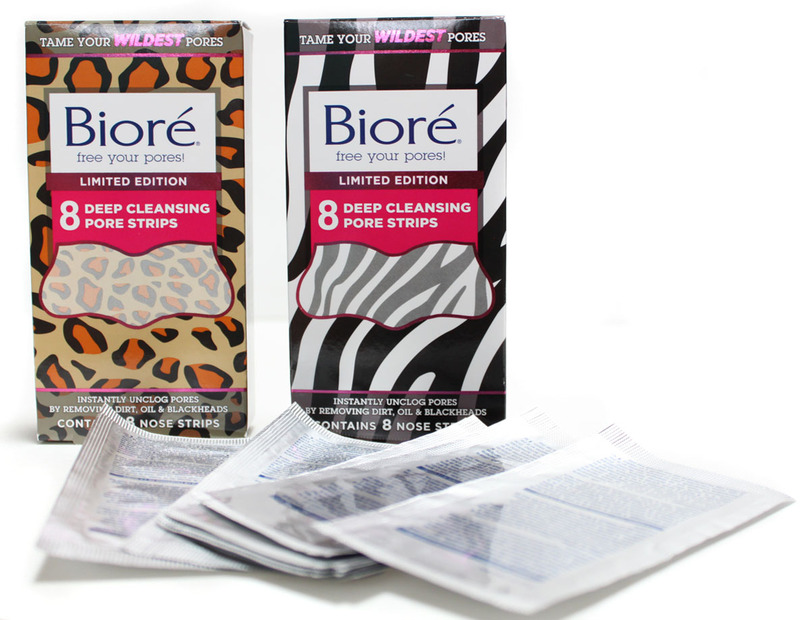 Bioré Deep Cleansing Pore Strips have always been a part of that process and now they have went and made them even more fierce in Zebra and Cheetah prints! 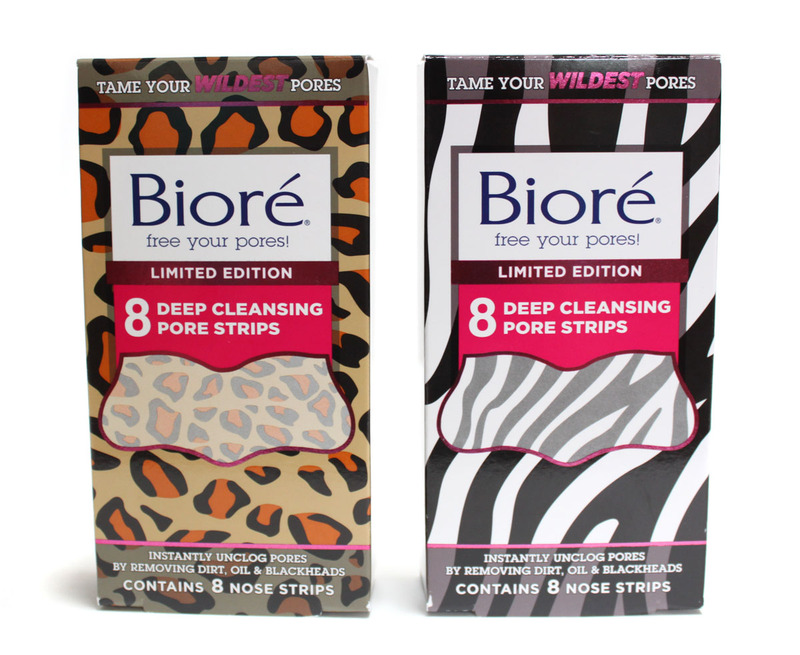 Limited Edition Bioré Deep Cleansing Pore Strips instantly unclogs pores by removing dirt, oil and nasty blackheads for the deepest clean. 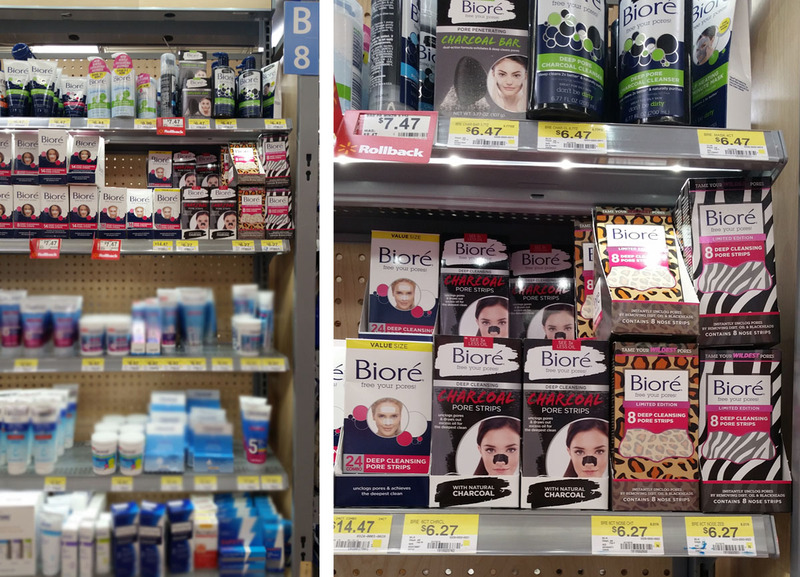 For fiercely clean pores, now that's wild! Once a week I make my skincare routine all about attending to my pores. I start by cleansing with Bioré Baking Soda Pore Cleanser using an exfoliating skin brush. The exfoliating skin brush helps to promote circulation and leaves my skin free of any dirt or makeup. 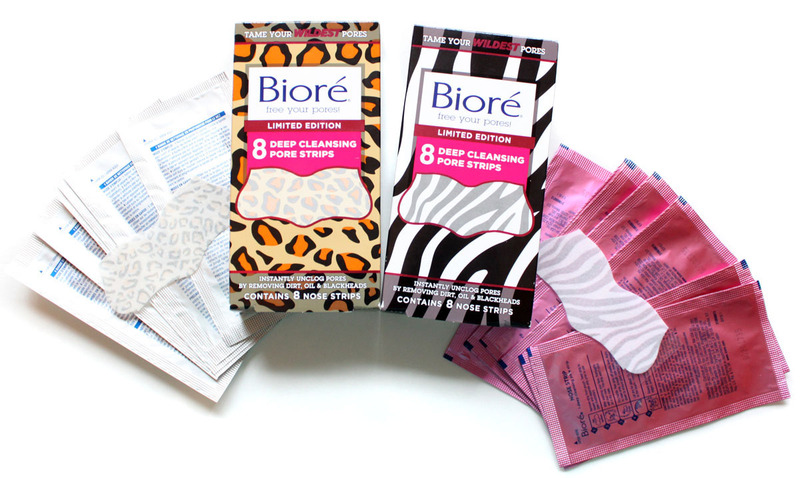 Next I exfoliate with Bioré Pore Unclogging Scrub. The spherical beads gently exfoliate and eliminate any dry patches that can emphasize wrinkles. This combination of cleansing and exfoliating prepares the pores for the deep cleaning that they are about to receive. 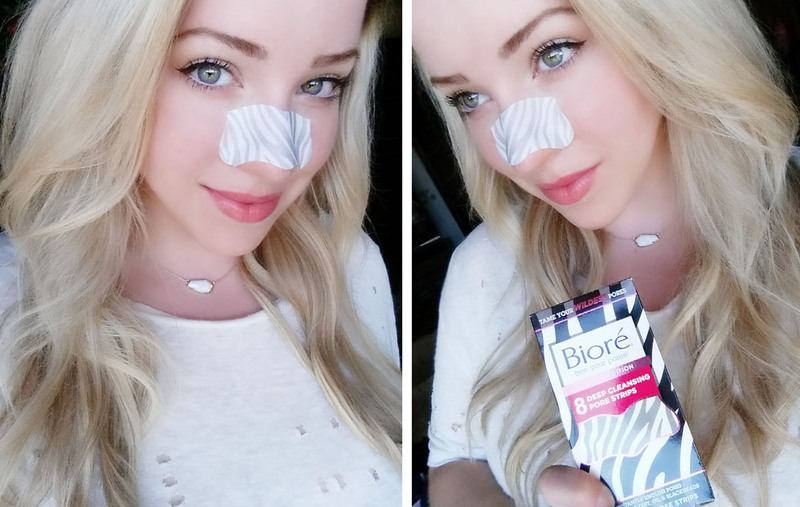 Bioré Cleansing Strips are the deepest way to clean your pores. 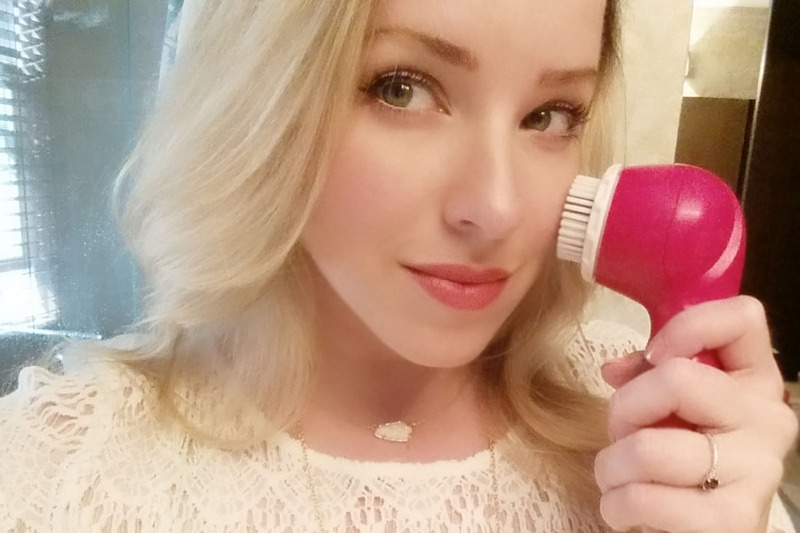 They remove a week's worth of dirt and gunk that cause clogged pores in just 10 minutes. I have been a fan of the original pore strips for years. My nose area gets super clogged and these take out all the gunk hanging out in my pores. 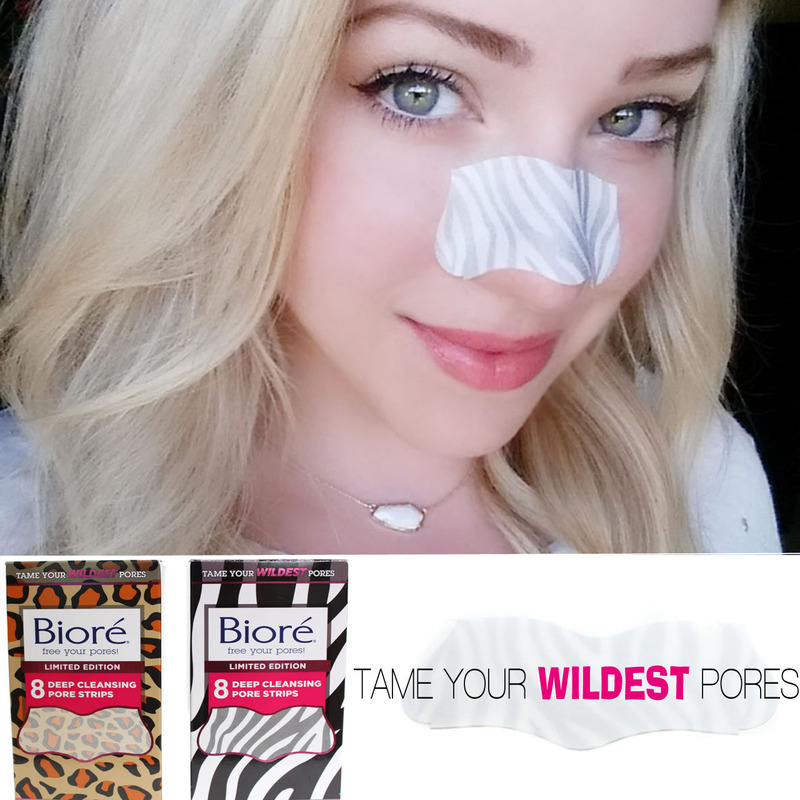 Bioré Deep Cleansing Pore Strips works like a magnet by instantly locking onto and removing deep-down dirt, oil and blackheads so you get the deepest clean. Another tip? Apply them after taking a shower. Your pores will be nice and open from the hot steam. How fun are the new limited edition Cheetah and Zebra prints? They can be found exclusively at Walmart. You can't help but look cool sporting animal print in any way shape or form right? Bioré Deep Cleansing Pore Strips are a much more gentle and effective way to take control of your pores. Squeezing blackheads is bad for the skin, it can cause damage and make the situation worse. We don't want that! The strips are easy to use and work in just 10 minutes. With continued use, the appearance of pores is visibly reduced. After removing the Bioré Cleansing Strip I follow up with my favorite moisturizer. With this simple skincare process my skin is left feeling soft, radiant, and most importantly pores are minimized. The wild leopard and zebra prints were so much fun that I created a storage box inspired by them! 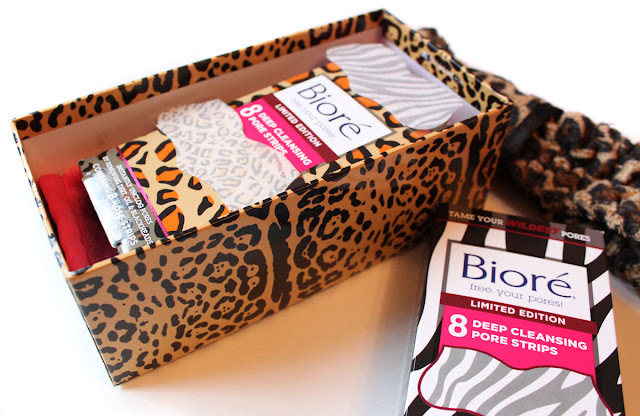 This is a stylish way to keep your Bioré Deep Cleansing Pore Strips organized and easy to spot. Place the Bioré Cleansing Strips in to a coordinating animal print box. Then and some skincare accessories. For mine I put in a skin brush, towel headband, and makeup removing cloth. Other fun ideas would be travel sizes of cleanser, exfoliator, and moisturizer. This would make a great little beauty care kit for teens! Limited Edition Bioré Deep Cleansing Pore Strips in Zebra and Cheetah prints are available at Walmart. I found mine in the skincare section of the beauty aisle. Bioré Cleansing Strips will tame your wildest pores in to fiercely clean skin. What are your tips for keeping your pores clear and debris free? I would love to hear them!